When a decedent makes a valid will, the person named as executor in the will is generally appointed as the estate’s representative since probate courts prefer to honor the decedent’s wishes. The executor named in the will must admit it to the appropriate probate court, usually in the county where the decedent lived. When a decedent dies without a will, a person who wishes to be the estate’s representative may file an application for appointment with the appropriate probate court. Generally, courts prefer to appoint persons with priority before considering appointing another person. For example, your state may permit only close relatives – spouse, child, parent or sibling – or persons entitled to the property of the decedent to become appointed. Your state may also allow a creditor of the decedent to be appointed as the estate’s representative, if no one else applies after a certain length of time. The procedure for appointment is usually similar whether the decedent left a will or not. The individual wishing to become appointed as the estate’s representative must submit an application for appointment to the appropriate probate court. The application may require the person seeking appointment to give details about the decedent’s potential heirs or beneficiaries and information about the date and place of death. 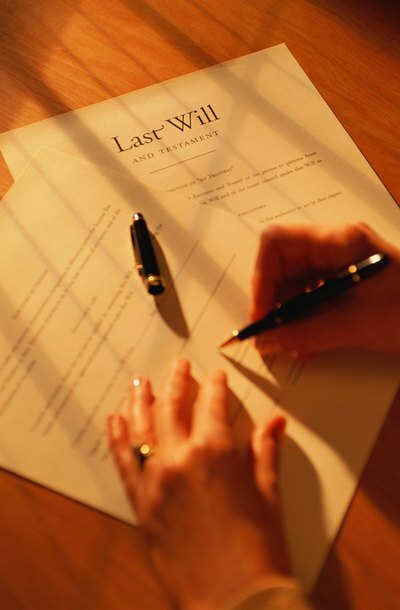 If the decedent had a will, the executor often must file the will itself along with the application for appointment. If someone who could have been appointed as the estate’s representative wishes to waive their potential appointment, they may complete a waiver form so the court knows they do not wish to become the representative. For example, the will may have appointed someone to be the executor, but that person does not wish to take on the responsibility. Someone seeking appointment as an estate’s representative must notify other interested persons in accordance with the probate court’s procedures. This will likely involve sending letters to potential heirs and beneficiaries. In some states, notices are published in the newspaper or posted in the courthouse. Giving notice allows interested parties to oppose the applicant’s appointment if they don’t agree with it. If no one opposes appointment – or if the probate court disagrees with the opposition – the court will likely appoint the applicant as the estate’s representative.